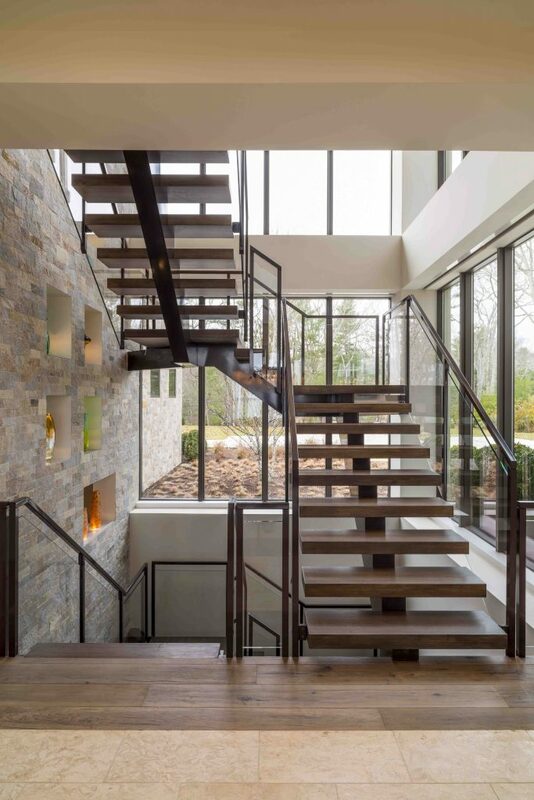 The client desired a warm and relaxed modern home located in Long Island’s rural wine country on the Peconic River. 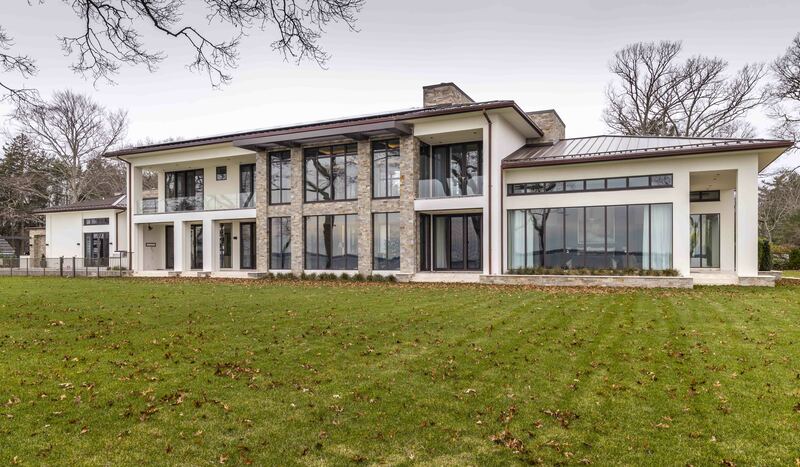 The design embraced mid-century modern architectural inspirations of Frank Lloyd Wright, Paul Rudolph, Rudolph Schindler and Richard Neutra to create this 13,579 sq. ft. modern classic. 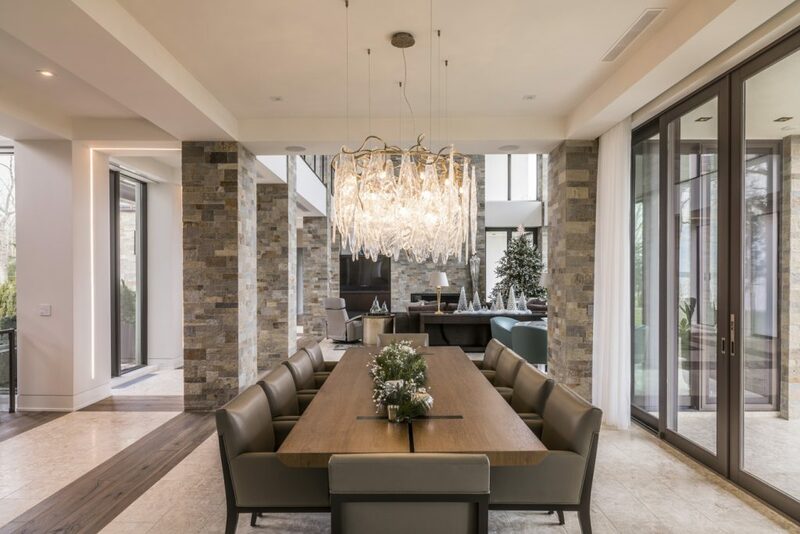 The use of natural materials, neutral colors and lighting details create a harmonious and tranquil atmosphere. Kean simplified the palette and kept his building materials consistent to facilitate the circulation from inside to outside. 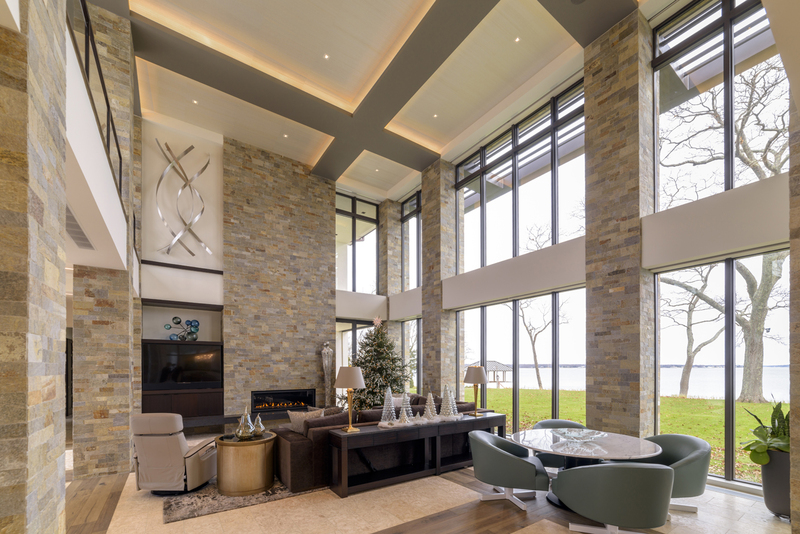 The quartz ledgestone wraps from the home’s façade to its interiors, creating exterior and interior architectural definition. 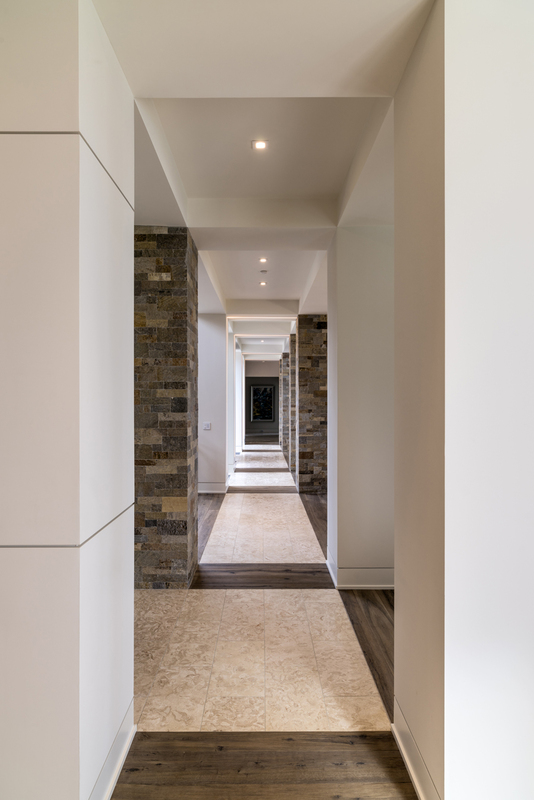 A grid pattern of walnut and coral stone plays off the linear architectural details of the interior columns. 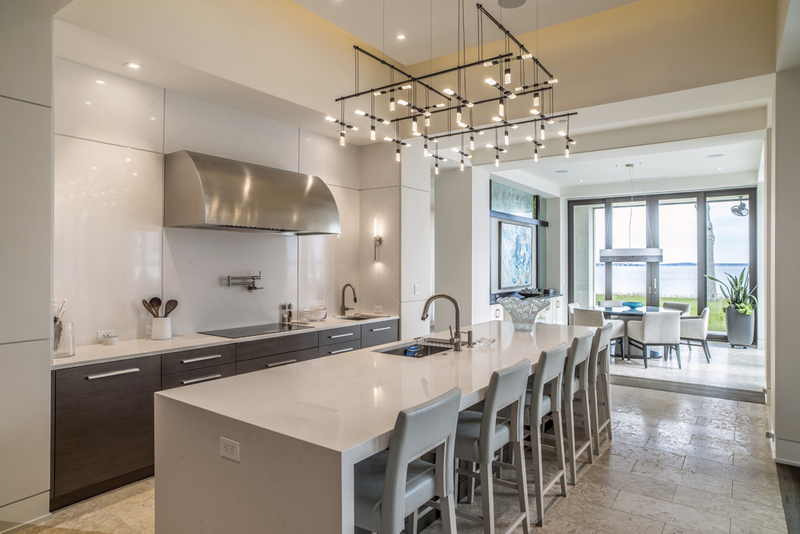 Other architectural details include floating ceilings, art niches, wall and ceiling recessed architectural lighting, reflecting staircase, etc.